We can never read the words in a book or on a web page without being influenced by their design. Typography, the visual design of written language, can make communication more accessible, more significant, and more attractive. Where do the letters that we use today come from, and what principles underlie their design? ‘Perfect letters’ traces the relationship of typefaces to handwriting and describes the development of serifed and sans serif letters. It considers attempts to relate letterforms to geometry in the search for perfection, and how ideas about letter construction are still influential today. The complexity of modern communication requires a multiplicity of letterforms to articulate meaning and evoke different emotional associations. ‘Practical letters’ summarizes typographic terminology and systems of measurement, and explains the hierarchical relationship of fonts to typefaces. The development of related variant fonts started with italic in the Renaissance and has resulted in the multi-font digital typeface families of today. Two key ways of articulating a text are discussed: by emphasizing spatial arrangements or by using font variation. ‘Practical letters’ concludes by considering some technical aspects of digital type design, and demonstrates how different approaches to paragraph alignment and word division change the appearance of a text. How does typography communicate language and affect the meaning of a written message? Taking the Shipping Forecast as an example, ‘Presenting language’ shows how different typographic presentations can enhance a text and allow different kinds of reading. Visual examples using symbols rather than words show how gestalt principles of spatial arrangement can reinforce meaning. Can we describe underlying document structures systematically so that typography can be logical and unambiguous? How can we ensure that text composition systems present those document structures faithfully? Finally, ‘Presenting language’ discusses house style, considering the use of consistent language and consistent typographic presentation. 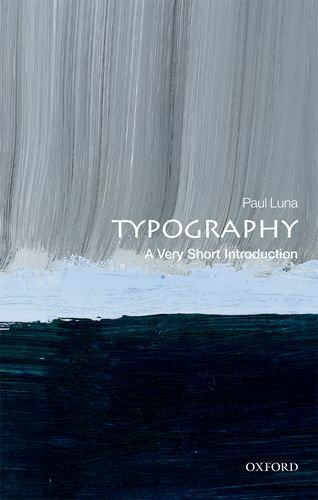 Meaning resides in the visual arrangement of typographic elements on the pages we read, in print and on screen. Layout is a key aspect of typography, and we recognize and respond to documents differently because of their different layouts. By looking at the interplay between content and presentation we can begin to understand how to design documents, and the effects our design decisions have on readers. The tools designers use in layout (grids, the sizing of images, and the relationship of page breaks to the structure of the text) are discussed. Printed page layouts are compared with the presentation of web pages. Graphic language can be pictorial as well as verbal. Symbols, although pictorial, have many typographic features: like letters they are modular, can be combined into grid-like arrangements, and can be grouped into sets by colour, shape, or complexity. ‘Picture language’ looks at how systematic approaches to symbol design are used in sign design, interface design, and the presentation of statistical data, and how symbols are best combined with words. Chapter 6: Emotion or information? How can we reconcile the popular view that typography is about expression with what we have learnt about its ability to present language rationally? ‘Emotion or information’ suggests that all typographic design is a kind of intervention between writer and reader, and that the purposes of writers and readers can vary: both neutral and highly expressive design approaches can be true to the needs of the text to be communicated. Making judgements about the degree of pleasure or emotional involvement a design should offer the reader is a key task of the designer. Designers are often mistaken in their understanding of the visual processes of reading. ‘Making typography legible’ presents up-to-date ideas from the field of psychology on this topic, and recounts some recent collaborations between psychologists and designers that have produced practical results. 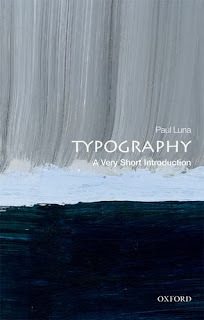 What is the role of the typographic designer in relation to writers, editors, and readers? Is an understanding of history useful when designing today? How can typography function best in a global, multi-script world? And can we see a positive future for typography in the face of claims that we are heading towards the ‘death of print’?